DEDHAM — The mother of a Bridgewater State Hospital inmate agreed to settle her lawsuit on Thursday alleging that guards were illegally keeping her son in isolation or strapped to a bed, sometimes for days at a time, after state officials agreed to make drastic changes in her son’s treatment for paranoid schizophrenia. Joanne Minich sued the state Department of Correction and mental health care providers in March, charging that her son Peter’s mental health was rapidly declining because prison administrators and clinicians had kept him alone in a small cell, at times fastened to a bed, for thousands of hours over the past 14 months. The agreement also calls for Bridgewater officials to develop a “behavioral modification plan” for Minich, 31, with a goal of reducing his assaultive and self-destructive behavior and transferring him to a less restrictive facility run by the Department of Mental Health. 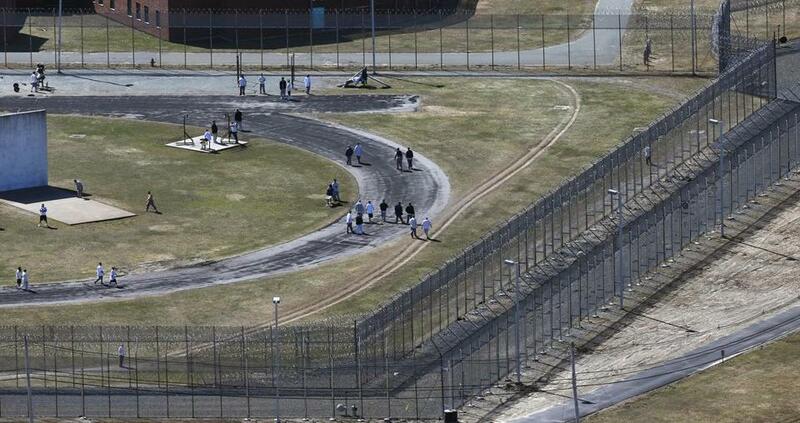 Bridgewater State Hospital, despite its name, is a medium security prison that provides mental health care for prison inmates and other mental health patients and has never been accredited as a hospital. The Minich lawsuit followed a Globe story about the 2009 death 23-year-old Joshua K. Messier, a mental health patient sent to Bridgewater for a psychiatric evaluation, who died as six prison guards were strapping his wrists and ankles to a small bed. The guards later acknowledged that they had virtually no mental health training. Minich was admitted to Bridgewater in January 2013 after he was accused of assaulting two workers in the psychiatric unit at Lemuel Shattuck Hospital in Jamaica Plain and a judge ordered him to undergo a psychiatric evaluation at the state prison. He has never been convicted of a crime. On Thursday, Joanne Minich said she was relieved that a path has been cleared for her son’s release and his transfer to a mental health facility run by the Department of Mental Health. “This is something that really needed to be done,” she said. “I didn’t think it would be this easy,” she added, crediting MacLeish. In the settlement, which was reviewed by the Globe, the department said it did not violate any laws while treating Peter Minich. The Globe has reported that the use of isolation and physical restraints at Bridgewater rose even after Messier’s death, as well as a decade of promises by Bridgewater officials to reduce the use of the increasingly discredited tactics. Last month, Governor Deval Patrick disciplined six correction officials in connection with Messier’s death, which was ruled a homicide. And the state, along with the Virginia-based company that provides medical and mental health care at Bridgewater, settled a lawsuit filed by Messier’s parents for $3 million. On Thursday, the Globe reported that the Department of Correction’s management of Bridgewater State Hospital and its use of seclusion and restraints is facing new scrutiny by the Disability Law Center, a federally funded watchdog group that launched a wide ranging-investigation this week. The Minich interim settlement agreement, approved by Judge Paul D. Wilson, does not include any financial considerations and remains under the jurisdiction of Norfolk Superior Court. A status conference is expected to be scheduled in mid-June.